How to watch Lego Friends: Season 3 (2016) on Netflix Netherlands! The availability of Lego Friends: Season 3 on Dutch Netflix can be found in our listings below for each season. If the season/episode you want isn't available, you may be able to unlock it right now in the Netherlands and start watching! Change your Netflix country with a few simple steps and start watching. 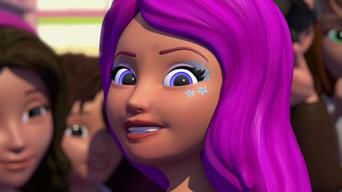 We'll keep checking Netflix Netherlands for Lego Friends: Season 3, and this page will be updated with any changes. As a way to make friends, new girl in town Olivia volunteers to work at the Heartlake City World Petacular with four other girls. From training pups to taking responsibility, the new girl in town learns about friends, fun and teamwork. 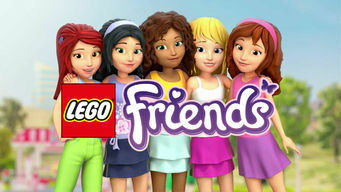 Season 1 of Lego Friends has 6 episodes. Because different Netflix countries have different availability for episodes, you'll need to check the episode listing below to see which are available in the Netherlands. Losing a spunky little puppy can be a hairy situation. But along the way, you're bound to meet some awesome friends! Stephanie's friends are eager to throw her a surprise birthday bash, but when none of them can spend time with her, she begins to wonder what's afoot. 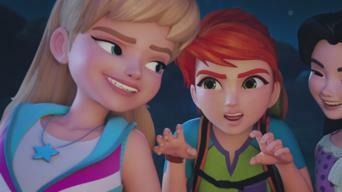 After winning top honors for their Dolphin Alert project, the Lego friends set sail to learn more about the creatures, but not all goes as planned. The girls think a trip to Mia's grandparents' ranch means relaxation and fun, but they soon discover that country living is hard work. Stephanie is excited to get to work building a float for a contest, but her rival Tanya tries to get Emma to join her team. 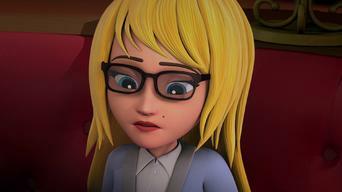 Olivia's Aunt Sophie is getting married, but her fiancé is missing in the jungle. Olivia and friends must find the groom in time for the wedding. Season 2 of Lego Friends has 6 episodes. Because different Netflix countries have different availability for episodes, you'll need to check the episode listing below to see which are available in the Netherlands. The whole gang decides to enter a talent show when they learn that famous pop star Livi is arriving in Heartlake City to judge the competition. The friends attend a science-based summer camp on an island, where they make some incorrect assumptions about an aloof fellow camper named Kate. When Andrea's Aunt Susan must attend to a family emergency, the girls volunteer to take over management of the luxurious Heartlake Grand Hotel. The race between Stephanie and Tanya for Heartlake High School class president heats up when the candidates go negative with "dirty trick" tactics. Emma accidentally sends to Matthew an embarrassing text meant for Mia, so the gang races through an amusement park to erase it from Matthew's phone. Mia becomes a hero when she rescues a puppy and a horse at the country club, but the pushy appreciation of the club's owner becomes overwhelming. Season 2 of Lego Friends has 0 episodes. Because different Netflix countries have different availability for episodes, you'll need to check the episode listing below to see which are available in the Netherlands. Season 3 of Lego Friends has 3 episodes. Because different Netflix countries have different availability for episodes, you'll need to check the episode listing below to see which are available in the Netherlands. 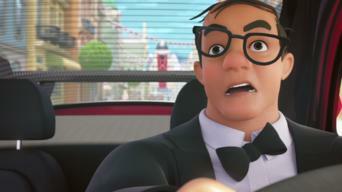 Season 5 of Lego Friends has 3 episodes. Because different Netflix countries have different availability for episodes, you'll need to check the episode listing below to see which are available in the Netherlands. The girls decide to take a break and enjoy a day in Mia's old tree house at the park, but a mysterious creature causes a stir near the lake. 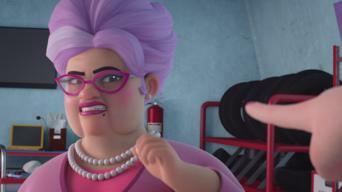 The go-kart team desperately needs a new pit crew boss, but Andrea's recruitment of Hazel "Mad Dog" Maddox reignites a bitter rivalry with Dottie. Dr. Alvah's attempts to replace human beings with her "perfect" Alvahbots goes haywire when a heat wave causes the robots to malfunction.